Do you have candle making questions? Any candle maker, regardless of experience, has wondered, where can I ask candle making questions? If you don't know anyone personally who makes candles, it can be tricky to find trusted sources to answer your questions about the craft. Fortunately, there are several places you can turn to get the answers you need. If you're looking for someone you can meet up with and ask your questions of in person, there are a few places you could try. Whether you're looking for a good supplier or want to know how to perfect a technique, local candle crafters are always in the know. Candle Craft Groups - Many cities and towns offer crafting classes, including candle making, through various outlets. To find these, ask your local Chamber of Commerce, or inquire at a craft supply store. Also check bulletin boards at recreation centers, or even your newspaper. Instructors are great resources for your candle making questions. Local Candle Makers - If you have craft fairs nearby, stop in and look for local candle makers. While it might seem that people who make their own candles for sale may not want to part with their information, you'll likely find that they are friendly and happy to help you out. Candle Making Meetup - A website called Meetup is a terrific resource for candle makers. Here, you'll find an interactive map that shows where there are groups of local candle makers around the world, and you can arrange to meet with local groups to share tips and ask questions. If you're having trouble finding local support, or just prefer to ask your questions from the comfort of your own home, you're likely still asking yourself, where can I ask my candle making questions online? The good news is that there are loads of forums and mailing lists full of experienced candle makers who are willing to help out. Forums and mailing lists are great because anyone can join, from anywhere in the world, and there's almost always someone who is active in the community who can answer your candle making questions. You can log in at your convenience, and check in to see if anyone has posted an answer. Yahoo Groups Candle Maker's Corner - This is a mailing list, which means that all communication with the group is via e-mail. There are thousands of members, and they welcome candle makers of all experience levels. Dave's Garden - While this site is mainly focused on plants and gardening, there is a sizable group of candle makers here as well. There is a sub-forum devoted to candle making, with plenty of questions already posted, and lots of helpful posters willing to help. 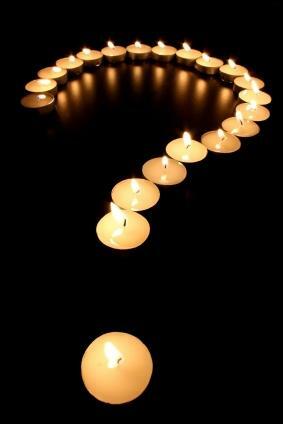 Try using your favorite search engine to see if any of the candle websites have addressed your question. Yahoo Answers can be a helpful resource. You simply register and post your question, and others can provide answers. Be wary of those who are there only to promote themselves and their businesses, however. Send an e-mail to the owner of your favorite candle making website. Depending on the popularity of the site and how busy the owner is, you may have to wait some time before getting an answer. Candle makers are generally friendly and creative people, who don't mind sharing the tips and tricks they've learned along the way. If you have candle making questions, don't be shy about approaching crafters for help!